If you suffer from allergies you probably won’t be surprised to learn that this season has been one of the worst ever according to Forbes.com. You can find out the pollen levels in your locale by visiting Pollen.com. The latest allergens are also listed. The southern states are more of an allergy problem as they “get more light and humidity, and there are a variety of trees that are known allergy producers” according to Michael Kaplan, an allergist in Los Angeles. The Southern states carry even more of an allergy problem. According to allergist Michael Kaplan, the Southern states “get more light and humidity, and there are a variety of trees that are known allergy producers” in the South. Beth Corn, director of Allergy/Asthma in New York’s Mt. Sinai Medical Center, states in an interview on The Today Show: “As soon as things warm up, the trees start to pollinate and then your immune gets revved up.” The southern states have a longer allergy season starting as early as April with pollen, followed by grass and ragweed into August. Irritants such as pollens from trees, grass and weeds, mold, animal dander, and dust may cause runny nose, watery eyes, itchy nose, sneezing, stuffy nose, pressure in nose and cheeks, ear fullness, dark circles under eyes, and hives. The best action to take is to be tested and find out what it is you are allergic to. Try over the counter treatments first such as antihistamines, eye drops and saline nasal washes. When in the house or car, keep the windows closed. Avoid outdoor activity from 10 am to 2 pm; this is the height of pollen production. After returning home from outside, change clothes and shower. 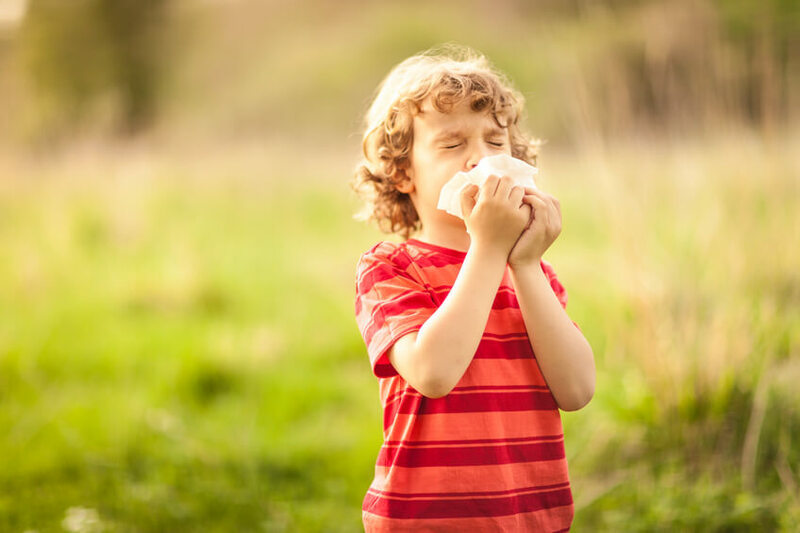 If you have little to no relief in 3 to 4 days we recommend that you see one of our providers at FastMed Urgent Care who will be able to prescribe the appropriate medications to deal with allergies.